1.5V-----AAA,HP6,MN2400,RO3,AA,HP7,MN1500,UM3 C,HP11,MN1400,UM2,D,HP2,MN1300,UM1 and Cell Button Type batteries. 1. 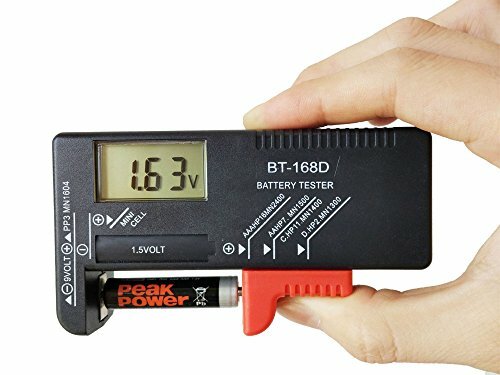 You can test battery voltage to determine if the capacity of the battery is too low. 2. The Battery Tester is powered by the battery being checked. Keep test times as short as poosible, to avoid unnecessary battery drain.